Servcorp – committed to being the world’s best Serviced Office and Virtual Office provider. 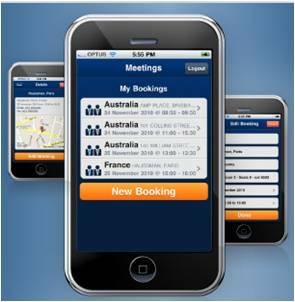 to build an app that allows Servcorp customers to book any meeting space in any Servcorp office tower in any part of the world in under a minute. But we were up for the challenge! We built a mobile app that connected with existing database to ensure a quick and seamless booking activity on all platforms: iOS, Android, Windows phone, Blackberry.